Winter is a special time of the year for most. With the holidays come family gatherings, get togethers, and depending on your location in this great wide world, you might even get some snow. With the holiday season rapidly approaching, there is still a bit of time left to deck the halls with all things nerdy. If you're already experiencing the winter weather and are looking for some crafts to keep you occupied as you sip your hot chocolate then look no further! Here are 4 DIY projects to flex your crafting skills while maintaining a touch of that nerdy flair. 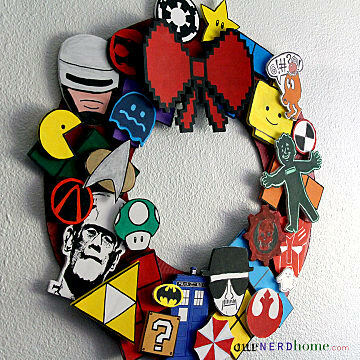 I found this little project on ournerdhome.com, along with a few other fun, and festive projects (like the wreath above). 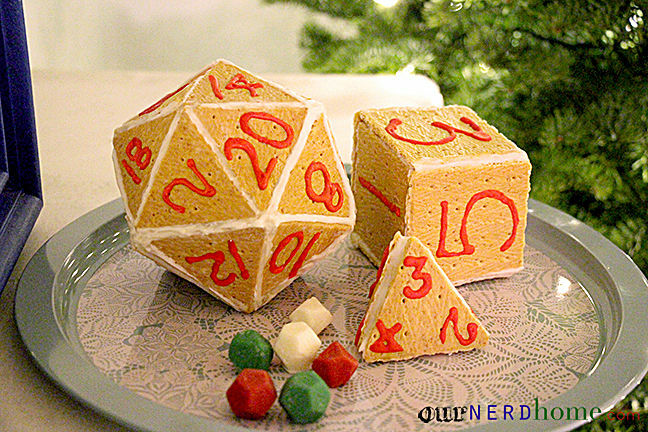 While not dice you'd want to try to use, they would make for a cool centerpiece at your holiday party or Dungeons & Dragons gathering. The supplies, as well as instructions for this project, can be found at the link above. This year has been the year for Pokemon with Pokemon Go! and the Pokemon Sun & Moon titles coming out this year. 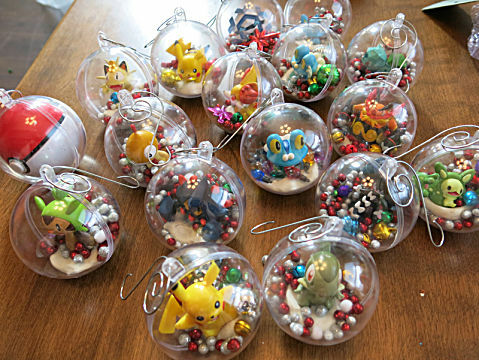 So it's only fitting that if you're a fan of these little pocket monsters that you proudly display your affection with these easy to make and cost-effective ornaments. So, how do you go about making these beautiful ornaments? Well, I might not have all the details but fret not! Cindy Kohler helps take the guesswork out of the process with her informative blog. This is a DIY project that I might be trying myself this year. Now you might be thinking, "Justin, how is a quilt decking my halls for the holiday?" Well, I ask you, what better way is there to keep warm in the winter months and continue to point out your nerdy nature, than with a festive quilt sporting your favorite game or character?I mean, who wouldn't want to be cozied up under a Legend of Zelda quilt drinking hot chocolate? Now, this project may be a bit more involved for those without sewing skills or tools but if you're that kinda crafty then this is a DIY project right up your alley. The awesome folks over at Instructables.com have a number of great how-tos for projects like these and your quilt is only limited by your time and creativity. 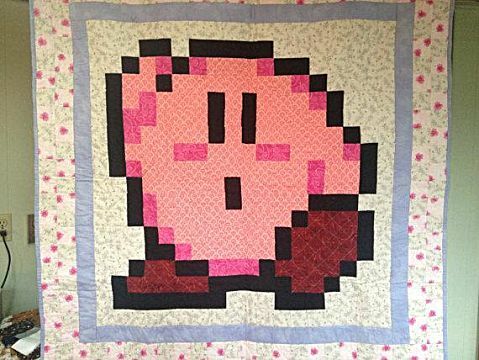 As a side note, a swanky game-themed quilt would also make a great gift if you find you enjoy sewing and is a perfect way to gain XP for future sewing projects. I know, I know... "Justin, you used a different wreath as the header to this article." Well, this is a different style of wreath and something I'm seriously considering making to hang on my front door. 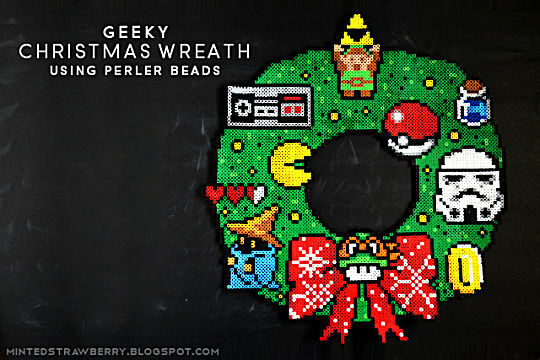 This isn't the first Perler bead project to catch my eye as of late but the amount of effort that Aki at the Minted Strawberry blog has me sold on just how cool a bit of patience can be. With step-by-step instructions, as well as a few helpful tips and tricks, she shares all you need to know to figure out your own spiffy wreath design. Her site also has a number of other awesome projects you could try year-round. Hopefully, these DIY projects have sparked some ideas or have interested you in following up on them. Fun projects like these remind me of the time I spent as a kid, helping to decorate the house and doing that Gingerbread house that always looked terrible, no matter the number of candies used to hide the broken spots. Maybe a fun craft like one of those listed above could become a yearly tradition for you and yours. Plan on doing any of these crafts or some crafts of your own? We'd love to hear about it and see pictures in the comments below!